The World Youth Alliance Europe interns had a great opportunity to attend a conference commemorating the European Legacy of Pope John Paul II. The date of October 16 is an official celebration in honor of John Paul II, established by the Polish Parliament on 27 July 2005 – as stated in the resolution – “a tribute to the greatest authority of the twentieth century, a man who reached into the sources of Christianity, taught us solidarity, courage and humility” (Mitkov R., 2000). As it was the 40th anniversary of John Paul’s II election, the Polish Embassy, located in Brussels, organized this event, memorializing his teachings and re-recognizing St. John Paul II as a non-political ideologist. Even though thirteen years have passed since 2005, when St. John Paul II passed away, the speakers and guests in the conference clearly stated the testimony of the ‘Holy Shepherd’. John Paul’s II life and ministry was a reflection of Jesus Christ, and the strong-personal connection that the Pope had with the Holy One. Based on the background mentioned above, the paragraphs below will indicate several of the lessons that John Paul II had spread to his followers. These doctrines show and speak the inspiring mission of the Pope and are quite similar to World Youth Alliance’s principles exemplified in CTP chapters. 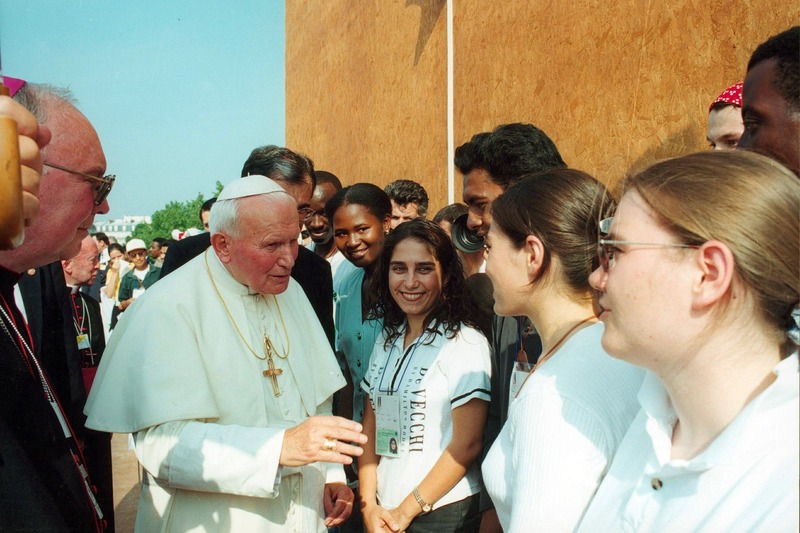 “To reach peace, teach peace”, said St. John Paul II at the beginning of his papacy in 1979. His messages and communications to people were an encouragement for all to ask and grant forgiveness because what makes us human is exactly the freedom we have. John Paul II taught us to forgive because the latter one is a free act of love; however, this act has to respect and seek for the truth. “Being a leader” means to love the world, people and the nature of the earth, but also to be able to criticize a variety of issues that are leading to a ‘dangerous’ path in these days. During his travels, St. John Paul II advocated against communism, dictatorship, and fascism as political ideologies, as well as materialism. He also advocated for pro-life culture as an ethical ideal and principle. What is significantly important to mention is the fact that St. John Paul II was a realist pope. He distinguished the good and the evil from each other by analyzing tensions and conflicts, as well as holding accountable those who were responsible for the fate of nations. He contributed by cooperating with political and non-political leaders in freeing the nations of Central Europe from the roots of totalitarian systems. The Pope will always be remembered in the hearts of his followers for his great support of the struggle for democracy, human rights and freedom.